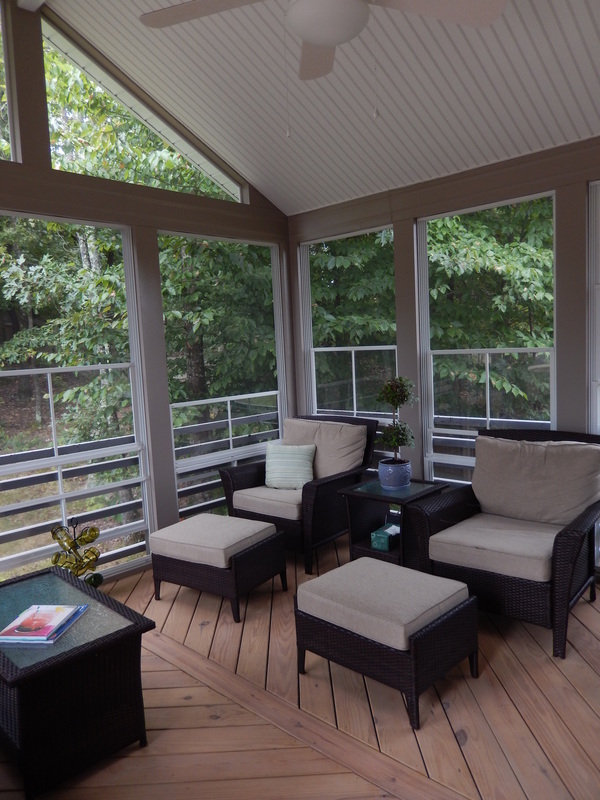 Add a new Eze-Breeze 3-season room to your Greensboro, Winston Salem or Piedmont Triad area home! 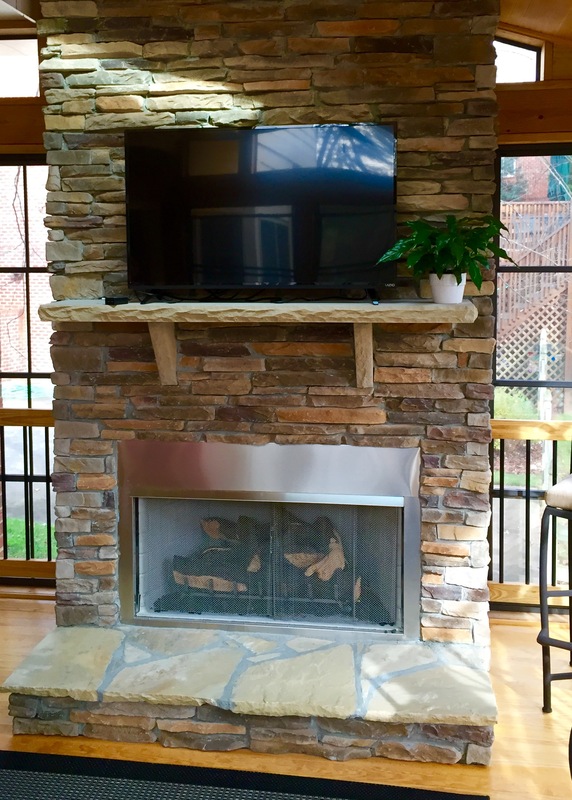 One of the most popular things we build, here in the Piedmont Triad area, is 3-season rooms with Eze-Breeze windows. 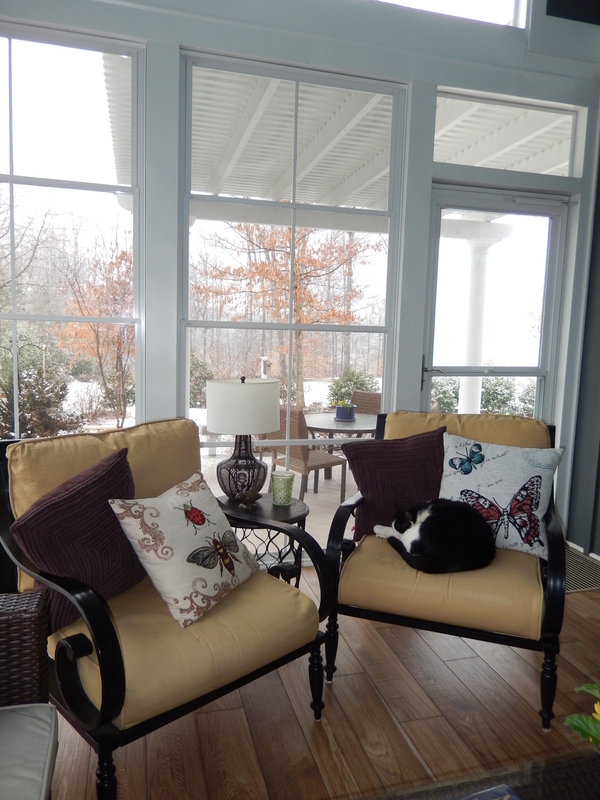 An Eze-Breeze window system is a 4-track clear vinyl window system that transforms your screened porch into a multi-season room. Three-season rooms using this vinyl window system are as beautiful as they are functional. Take a look at the photo above. You can see how incredibly clear the vinyl windows are. They are also super easy to clean. The windows in the system above are closed. You can see the 4 sections of each window. The system is a vertical track system. Easily lift the windows to open 25%, 50% or 75%. Take a look at how the 4-track window system works.